Dr. Anthony Traboulsee has released the results of a $5.5-million clinical trial he believes will deliver the final death blow to so-called liberation therapy. For years, MS patients have been travelling around the world and paying thousands of dollars for an unproven procedure to widen their neck veins. Some insist it has changed their life. Many of them say it did nothing. An unfortunate few died from post-surgical complications. "We hope these findings, coming from a carefully controlled 'gold standard' study, will persuade people with MS not to pursue liberation therapy, which is an invasive procedure that carries the risk of complications, as well as significant financial cost," Traboulsee, an associate professor of neurology, said in a release. Liberation therapy patients were seeking relief from an unproven condition that became known as chronic cerebrospinal venous insufficiency (CCSVI), in which blocked veins in the neck impaired blood drainage from the brain and somehow caused MS. It was a hypothesis that most experts doubted from the outset. "Anybody who knew anything about MS knew the idea was nonsense from get-go," said McGill University neurologist Dr. Michael Rasminsky. The UBC study, funded by Ottawa and the provinces of B.C., Manitoba and Quebec, tested the procedure on 104 MS patients. All of them had a catheter inserted in their veins, but only 49 were given the balloon treatment to widen their vessel walls. The rest were allowed to think they'd had it done. The practice is known as a sham procedure — a form of surgical placebo. The patients were followed for a year. The doctors could find no improvement in either group. Three years ago, Traboulsee had delivered an earlier blow to the theory by showing that healthy people could also have narrowed neck veins. A series of other studies also failed to find an association between MS and narrow neck veins. The theory went from "breakthrough" to Wednesday's "debunking" in less than eight years — a rare example of science unfolding in the news, in real time. It's also a study in the influence of social media on medicine. The original suggestion by Dr. Paolo Zamboni, of Italy, might have languished in scientific literature as a quirky hypothesis if not for a team of Canadian reporters that put it in headlines in 2009. "Had there not been the fevered publicity, no one would have thought it was necessary to spend the millions of dollars to do do all these studies including the one that's just coming out," said Dr. Rasminsky. When the story of this potential "cure" flickered on TV screens across the country, it set off a chain reaction of social media frenzy and political pressure. Within weeks, the MS Society of Canada offered $2.4 million for research, and soon seven different studies into MS and blocked veins were off and running. At the same time, experts struggled to imagine what mysterious biological mechanism could explain the strange association between neck veins and MS, an autoimmune disease that destroys the lining of neurons, leading to a progressive loss of function and movement. 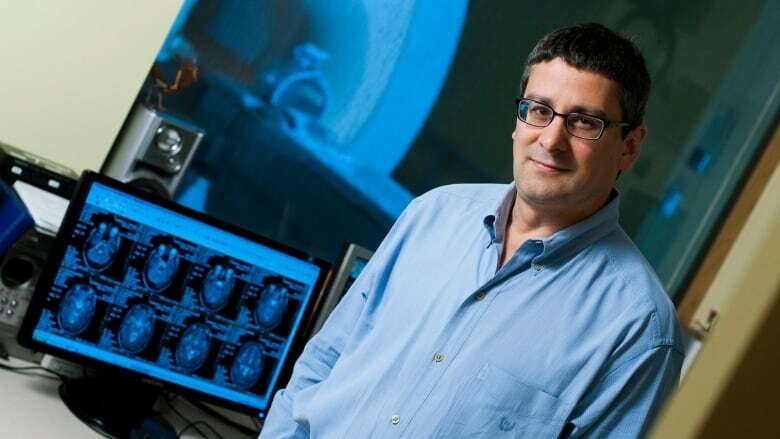 "The theory that impaired drainage from the brain was responsible for causing lesions of MS didn't make sense for a number of reasons," said Dr. Rasminsky. "Venous drainage from brain is very redundant, so if one or two veins were blocked, blood could get out through many other routes. And it became clear early on that the measurements were highly subjective, so people doing the initial studies were seeing what they wanted to see." Even though the research to test the theory started almost immediately, the science was too slow for MS patients, who demanded that Ottawa launch a Canadian clinical trial giving them access to the treatment. For months they bombarded their members of Parliament and protested on Parliament Hill. In 2010, the Canadian Institutes of Health Research set up a scientific panel of experts, and in June 2011 Health Canada announced it would spend million of dollars on a clinical trial. Several other provincial governments also gave in to patient demands. 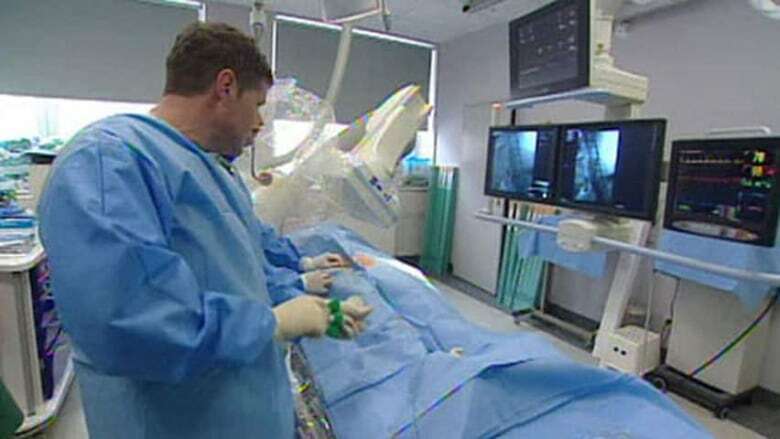 Because people were already travelling abroad and paying as much as $30,000 for the procedure, the government of Newfoundland and Labrador put up $320,000 for local doctors to do a follow-up study after the patients came home. By June 2012, the lead neurologist reported there was no benefit and refused to recommend the treatment to MS patients. Saskatchewan Premier Brad Wall originally offered $5 million to fund a clinical trial but failed to receive a suitable proposal. So instead the province offered $2.2 million to send 86 patients to a U.S. clinic. In the end, only seven MS patients from Saskatchewan made the trip. The study was cancelled, because the U.S. clinic couldn't find enough volunteers. The New Brunswick government also provided financial support so patients could leave the province for the treatment. Less than two years after the first "breakthrough" headlines, there were sobering stories about patients suffering dangerous post-surgical complications. Two Canadians died after the procedure. The U.S. Food and Drug Agency issued a warning about the dangers of the treatment. At the same time, study after study reported finding no association between MS and narrowed neck veins. After millions of dollars were spent in research, scientists now know that the veins in the neck can be wide and narrow and wide again with no apparent effect on well-being. One study revealed that being dehydrated while getting the neck ultrasound can change the results. Children with pediatric MS showed no interruptions in their venous blood flow. Ultrasound images of neck veins revealed nothing about the neurological health of adults. Now UBC is announced the final results of a study it says "represents the most definitive debunking of the claim." The results are being released at the annual meeting of the Society for Interventional Radiology in Washington, D.C.
Traboulsee believes this research should officially close the file on "liberation therapy." But Timothy Caulfield isn't so sure. He's the Canada research chair in health law and policy at the University of Alberta and an expert in quack medicine. With a quick internet search, he demonstrates that there are still lots of places around the world offering to do the procedure — for thousands of dollars. "I hope this will be the end of it. Unfortunately I doubt it will be," he said, adding it's a unique and mostly Canadian story, because Canada has one of the largest populations of MS patients in the world. "This went from bold idea to scientific quackery pretty quickly, and that in itself is interesting."